A key component to leftist regulatory zeal is the complete inability to grasp the fact that businesses pass increased costs along to the consumer. It is a simple concept that can be explained to a four year-old using just Legos, but when you mention it to a progressive, he will react as if you just posited that the planet was flat and made of mac and cheese. I guess if one spends enough time railing about "THE RICH!!!" one begins to believe in a magical entity that can hemorrhage cash that it brings into existence out of the ether. Of course, academics and career politicians who are used to spending the money of others rarely ponder economic consequences. Here in the real world, however, consequences abound and they show up in rather predictable fashion. When they do, they're "news" to the leftist policy champions in the media. “We find people who have never ever walked into a community action agency before, looking for help,” said Carmen Allen, the community outreach coordinator. As the end of the harshest winter in recent memory approaches, the bill is coming due for millions of consumers, who are not only using more electricity and natural gas, but also paying more for whatever they use. And there might not be relief in future winters, as the coal-fired power plants that utilities have relied on to meet the surge in demand are shuttered for environmental reasons. The sticker shock has been particularly acute in the Northeast, where natural gas supplies have been constrained. But it has spread to other regions of the country, including the Midwest, where utilities have had to draw on more expensive reserves to meet the demand. In Pennsylvania, Attorney General Kathleen G. Kane said her office had been flooded with complaints from consumers whose utility bills soared, in some cases tripled. In Rhode Island, the utility National Grid received permission for a 12.1 percent electricity rate increase in January, nearly all of it because of higher prices for the gas used to make electricity. Not only is global warming being frozen to death this winter, the nemesis of every enviro zealot-cheap and abundant coal-is sorely missed. 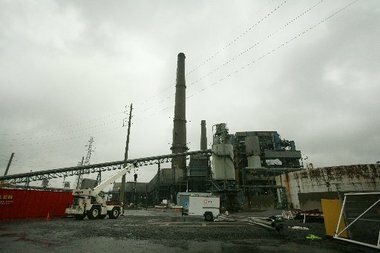 The coal plants are dirty, and expensive compared to natural gas at summertime prices. But coal is far less prone to price jumps or to shortages, and in a cold snap, it looks like a bargain. Without the coal plants, experts agree, prices in the peak periods of winter and summer will be higher, so future periods of cold weather may be even harder on electric bills. “We are seeing unprecedented amounts of coal units retiring,” said Andrew L. Ott, a senior vice president at PJM Interconnection, the grid operator that covers Pennsylvania, New Jersey and Maryland and has expanded into West Virginia, Ohio and adjacent areas. “No doubt this industry is in a massive transition,” he said, adding that the change would be accompanied by more price volatility. An expected price increase because of resource scarcity doesn't really denote "volatility". A good many of us merely refer to that as "the market at work". Not surprisingly, the people who don't trust free markets are also the ones who understand them the least. In the rarefied air of feel-good policy making, the kinds of hardships being described in this Times article are never considered. While pondering industry-killing policy and regulation, they think, "I'm saving the planet!" and little else. That the planet is populated with regular people who have bills to pay won't deter this unicorn ride across the somewhat cleaner sky. As we are now painfully witnessing with Obamacare, letting ideological enthusiasm race ahead with policy decisions that aren't well thought out can usher in the pain rather quickly (in this case, most hurting the people it was intended to help). There is nothing wrong on principle with forging ahead with the exploration and utilization of new and cleaner energy sources. A more measured approach would be appreciated, however. Before the EPA ran through the coal industry like General Sherman on his way to the sea, it should have made sure that the replacement sources could, well, weather, a brutal winter such as this. In another Obamacare parallel, the EPA is now finding it necessary to delay its own deadlines. In some cases, the Environmental Protection Agency has reduced the disruption caused by retirements by delaying deadlines, to give utilities more time to comply with its rules or to get alternate arrangements in place. But American Electric Power executives say that will not be the case this time, because even with a reprieve from Washington, citizens could bring lawsuits under the Clean Air Act that would force the closures. The "citizens" who may bring lawsuits certainly aren't the ones who are paying fifty percent more for utilities this winter. Such litigation will more than likely be financially backed by the same ideological evangelists who brought this situation upon us in the first place. The same people who have managed to add to the unemployment burden that has plagued the country for years and charge those who are struggling more for utilities. The good news is that the Obama version of the EPA only has a few more years to "help". The bad news is that it is hyper-focused on wreaking as much "help" as possible.